San Jose is getting another cutting edge transportation company. 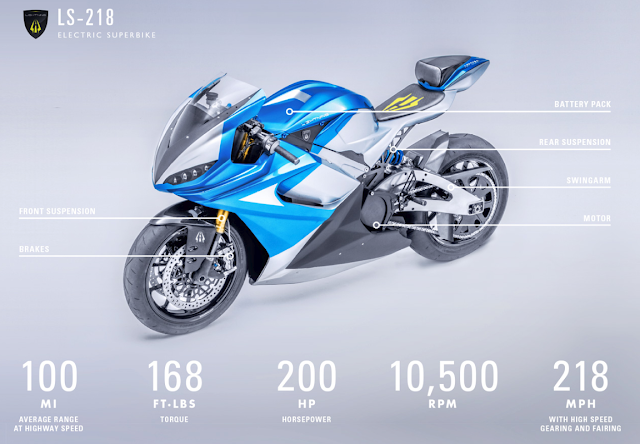 Lightning is a manufacturer of high-end electric superbikes that can top 200 MPH and travel 100 miles per charge. They claim these are the fastest production motorcycles in the world. Lightning has relocated from San Carlos to 6299 San Ignacio Way in South San Jose. The space is five times larger, which will allow them to expand their in-house design studio and R&D--likely bringing even more jobs to San Jose. Thanks to Nio, Lightning, and several complimentary companies building EV components like Velodyne, San Jose is establishing itself as the Detroit of next generation vehicles. Even Tesla was originally planning to build their factory in North San Jose.